LISBON, Portugal - Black and white mosaic tiles lining Rossio Square. 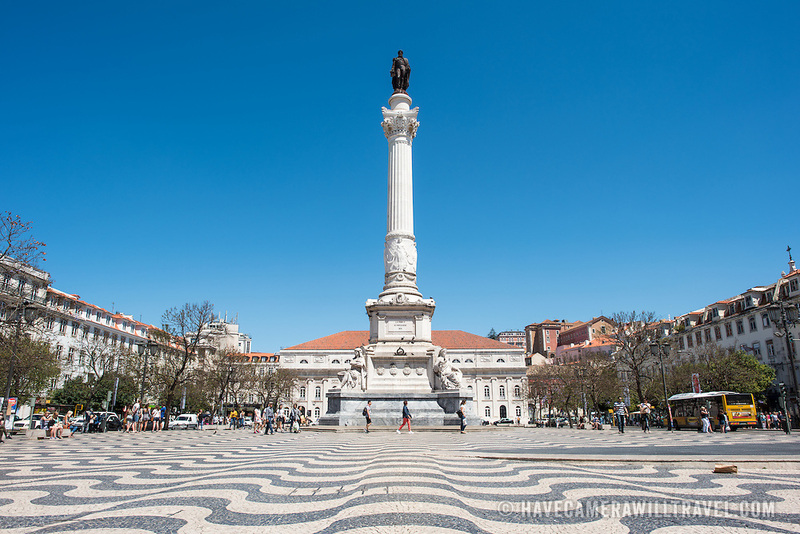 Formally known as Pedro IV Square (or Praça de D. Pedro IV in Portuguese), Rossio Square has been a vibrant public commons in Lisbon for centuries. At its center stands a column topped with a statue of King Pedro IV (Peter IV; 1798-1834) that was erected in 1870.